We can’t exclude a possibility that the Index completed a correction inside wave ; the bulls are obviously becoming weaker. 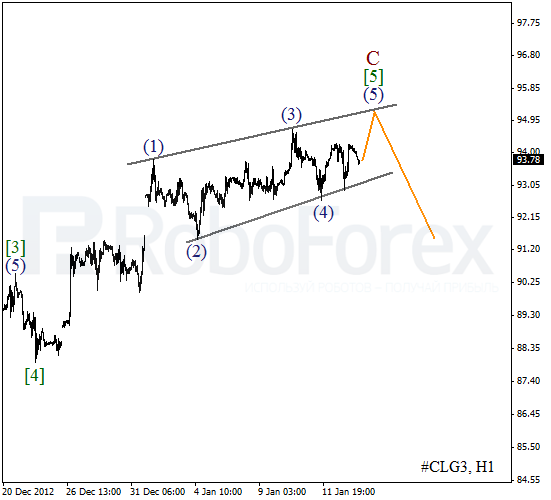 Most likely, during the next several days the price will make a reverse and start forming an initial bearish wave. 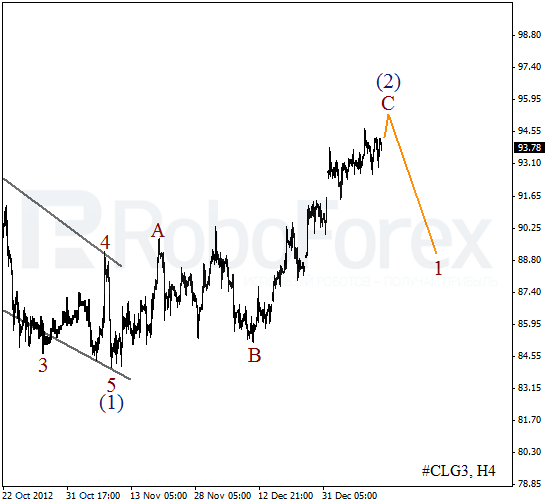 As we can see at the H1 chart, the Index finished wave C in the form of diagonal triangle pattern. More to that, it looks like yesterday the instrument completed the first wave and in the nearest future the Index is expected to start falling down inside the third one. It looks like the price is finishing zigzag pattern inside wave (2), the pattern needs one more ascending wave to be completed. Most likely, the instrument will break a local maximum during the day and then make a reverse. 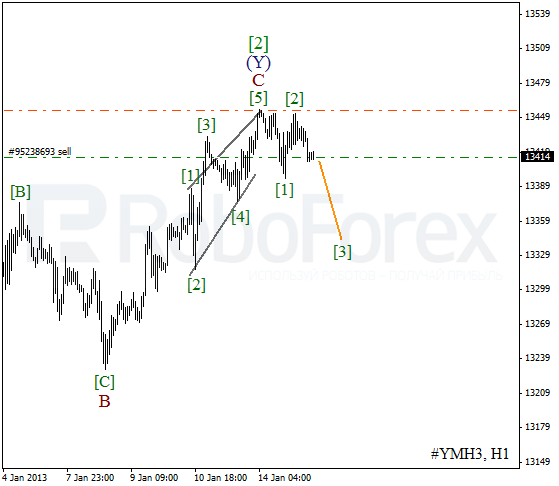 At the H1 chart the instrument is forming diagonal triangle pattern with the fifth wave inside it. 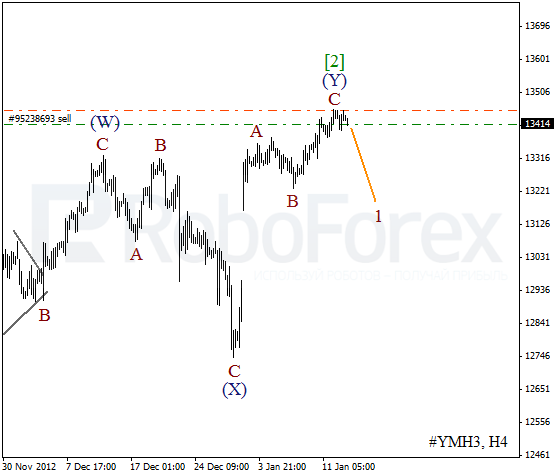 At the moment the market is consolidating, but bulls are expected to start a new ascending movement during the next several hours. However, the price is unlikely to grow up higher than the level of $95 per barrel of Light Sweet.